Cooperation between Mozambique and China, one of the African country’s main financiers, infrastructure builders and currently the largest foreign investor in the country, has been positive, said Custodio Rafael Marques, Consul General of Mozambique in Macau. 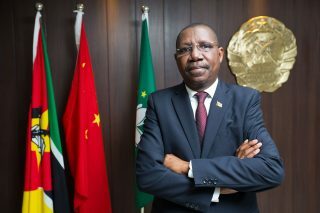 Marques stressed that the 2017/2019 action plan, approved during the Fifth Ministerial Conference of Forum Macau, which was attended by Mozambique’s Prime Minister Carlos Agostinho do Rosario, addresses the interests and priorities of Mozambique, particularly with regard to the country’s industrialisation process and increase in production capacity. Stressing the special attention that the government of Mozambique pays to Forum Macau, an organization that can help consolidate economic relations and ensure the flow of public and private investment in selected areas, including agriculture, infrastructure, energy, tourism and industrialisation, the Consul General highlighted the role of Macau as a platform between China and the Portuguese-speaking countries. 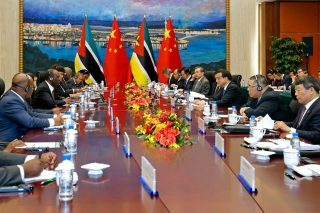 The People’s Republic of China and the Republic of Mozambique’s delegations met on Monday to review bilateral cooperation and study new forms of cooperation between the two countries. 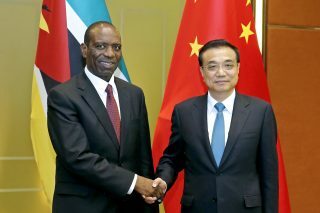 The Chinese delegation was led by Premier Li Keqiang and the Mozambique delegation by his counterpart Mr. Carlos Agostinho do Rosário. The Chinese delegation also incorporated the Ministers of Economy and Foreign Affairs of China and the Special Administrative Region Chief Executive of Macau, Chui Sai On. Premier of the State Council, Li Keqiang, holds a bilateral meeting with the Prime Minister of the Republic of Mozambique, Mr Carlos Agostinho do Rosário, at the Macao East Asian Games Dome during Premier Li’s three-day visit to Macao. Mozambique will be represented in the 5th Ministerial Conference of the Forum Macau to be held on 11 and 12 October 2016 by a delegation led by Prime Minister Carlos Agostinho do Rosario. The Prime Minister of Mozambique, who has held this post since January 2015, has an extensive career in Asia and was High Commissioner in India and Sri Lanka and later Ambassador to Indonesia with accreditation in Singapore, Malaysia, Thailand and Timor-Leste. 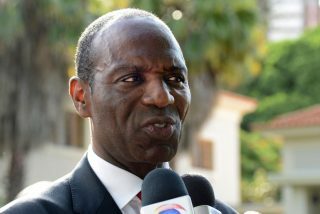 The delegation, in addition to senior officials of the Mozambican government, include the newly appointed Ambassador Extraordinary and Plenipotentiary of the People’s Republic of China, Aires Bonifacio Baptista Ali and the Consul-General in Macau, Custodio Rafael Marques. “Mozambique provides important resources that align with the interests of China and Macau and is among the Austral African countries with the best conditions for tourism and wealth creation. In this context, we would like to invite the business sector of Macao and China to invest in Mozambique and rely on the collaboration of the Consulate General of Mozambique,” says the Consul General Rafael Marques in a message placed in the new portal. The opening of a consulate general of Mozambique in Macau marked the strengthening of relations with the People’s Republic of China. At the official ceremony, which took place at the end of October in 2014, Ambassador Antonio Inacio Junior underlined the strong Chinese investment in Mozambique and his desire for continued growth and cooperation in terms of investment and trade. The diplomat Custodio Rafael Marques said that Mozambique intends to strengthen this cooperation through Macau.